nice... but STE... you know what... You can not alter history all together, create something totally new... wants it and craves itz... do it... you are one of the best eveahhh... want to see something totally new dude... do it just for the blast of it, win X2012 dude, you can do it in a big way... no momentum at doing that, do it just for me then? 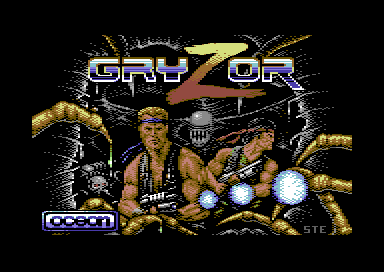 ste: thanks for the c64 version of this awesome picture. one of my personal favorite cpc pics of all time. point of order here. you only get that screenshot if you use the default vice colour settings. that is NOT indicative of all vice setups. mine included. you only get that if you are too thick or lazy to change the colour saturation from the 33% saturation which comes as standard to something more like we used to run a real c64 at which was about 70-80% colour sat. Great work. But I always wondered what emulator STE is using to get those oversaturated screenshots. Why can't we just upload screenshots that actually show at least something somewhat close to what you'll get? Ocean licensed pretty much all of the Konami coin op conversions on all the 8 bits from 1985 till 1988ish then Konami started doing their own (very bad) conversions. Most of the conversions were released on the Imagine label but that had probably been discontinued when Gryzor came out. were quite opponents back then . Another masterpiece by you! 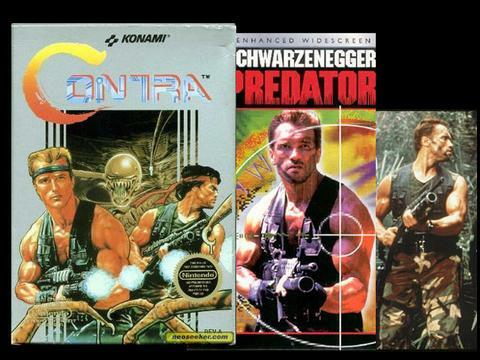 By far better than the original of the game. Fantastic!